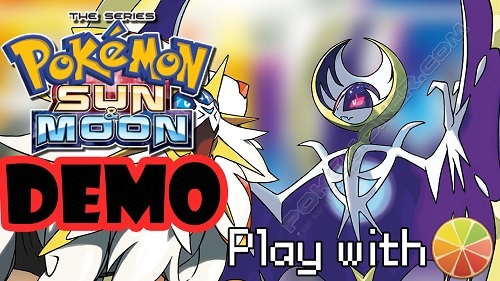 The Pokémon Sun and Pokémon Moon Special Demo Version will be availabled This is your chance to meet the Pokémon that can be found in November 18’s Pokémon Sun and Pokémon Moon! Ash-Greninja, the Pokémon that appears with the hero Ash in the animated TV series Pokémon the Series: XYZ, will also appear in this game as a member of your team—you can adventure together! You can bring this Greninja, which is able to turn into Ash-Greninja, to your full version of Pokémon Sun or Pokémon Moon (after launch) once you’ve completed your adventure together in the Pokémon Sun and Pokémon Moon Special Demo Version. A Poké Ball containing a Greninja from a certain someone. An adventure—separate from those in Pokémon Sun or Pokémon Moon—is about to begin!